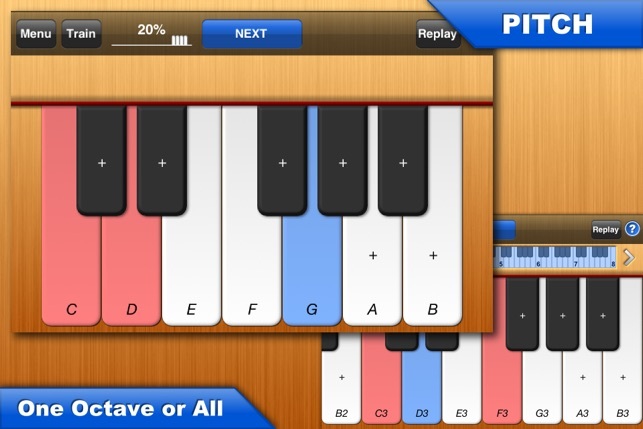 It's an educational app and a lot of musicians found it very helpful so it's best for as much people to have a go with it instead of just "killing" it. If you will want to use it after the release of iOS 11 you have to save some device with an older iOS. And if you like the app and would have gladly bought it for the full price but cant (as it's free) you can check out my other apps: "Tangled FX" photo effect and "BaM Video Delay" sports app. Thanks to all of you and have fun with Right Note. ON-OFF switch not working ? Although the second step is counterintuitive this makes the TAP to get through the iOS to the app. I used to say that I would never spend more than 10 bucks with an app, but after trying the lite version I had to get this one. I love it, good job. Featured in US "What's Hot"
WHAT'S UNIQUE ABOUT RIGHT NOTE ? 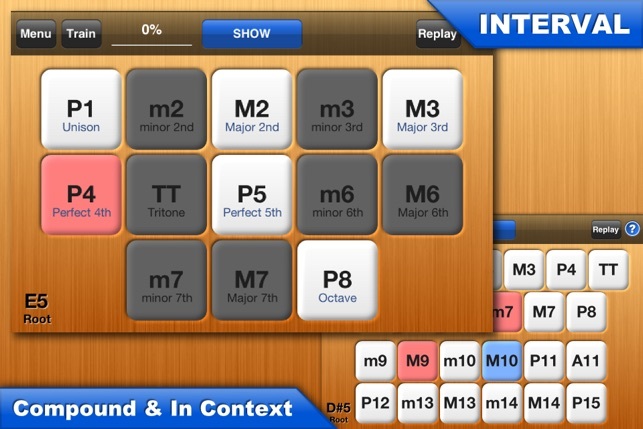 Right Note is getting a bit complicated and not every option can be explained just with a short name. That's why now you have a "Help & Tips" for each of them. Just press the name or "?" icon next to it. 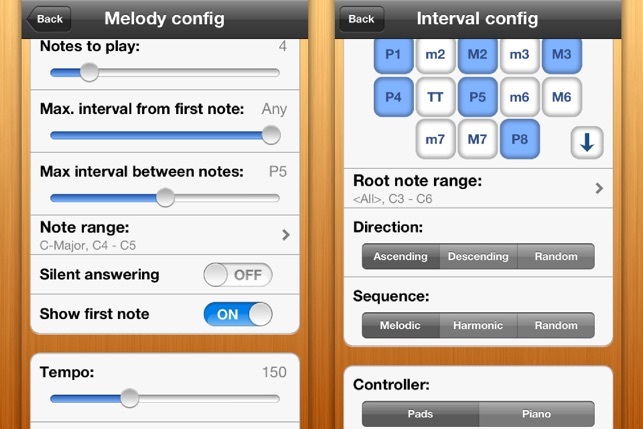 Now Right Note works in both landscape positions. Sorry for overlooking it, especially for the iPad. Thanks Birgit and Scott for pointing out that it didn't work well combined with a smart cover that can be attached only from one side. 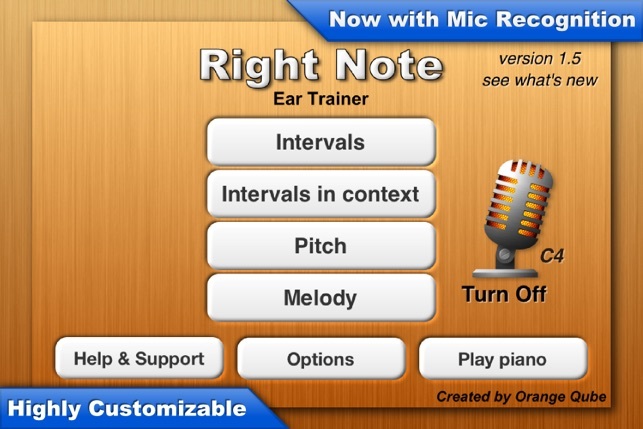 I've looked at and have other ear training apps but use this one the most because it allows you to train and retry. It also picks up your instrument. So you can train with what you are playing. Great for learning to play by ear. I'm not too crazy about the graphics, but hey, that's just me. I am learning Indian classical music which is largely based on listening. 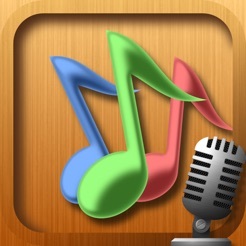 Since I dont have an ear for music, this app has everything I need to train myself. Being able to use a real instrument to answer is a great feature to help me connect with my instrument. Not perfect but it almost has everything you will need for training . The microphone icon is a bit annoying though. 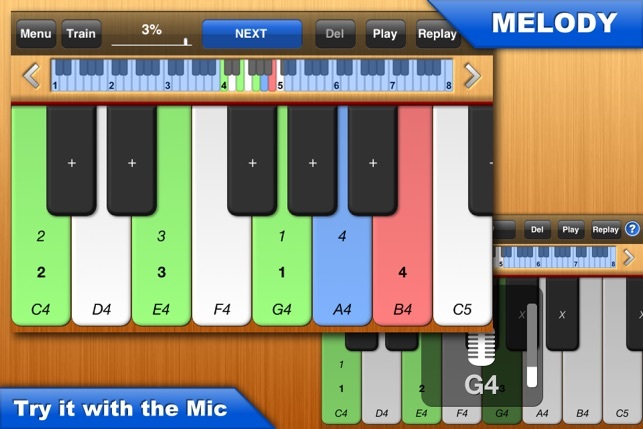 And I hope it can play the "do" at the beginning of a melody test so that I can practice melodic dictation for different modes .